HPDEjunkie.com was founded by a couple of regular car guys who had some track days under their belts. High Performance Driving is exactly what we had been wanting to do our whole lives. Previous notions of driving fast were completely blown away the first time we hit the track. HPDE is one of the best adrenaline rushes available on this planet! We were always amazed to discover how most people had no idea that track days existed. 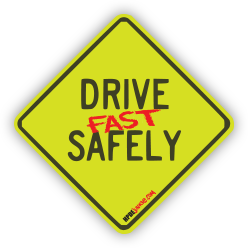 Sports car owners and driving enthusiasts are missing out on the best part…Driving their cars fast! We decided something should be done to promote High Performance Driving Events. So, we created this website with the goal of turning HPDE into a house hold name. We also felt there needed to be a comprehensive list of all track day events in the nation on one website. We believe all drivers should be able to enjoy the exhilaration of driving their own car at speed, safely, without fear of getting a speeding ticket or thrown in jail.